What about the rabbits? How do pet rabbits end up in shelters? 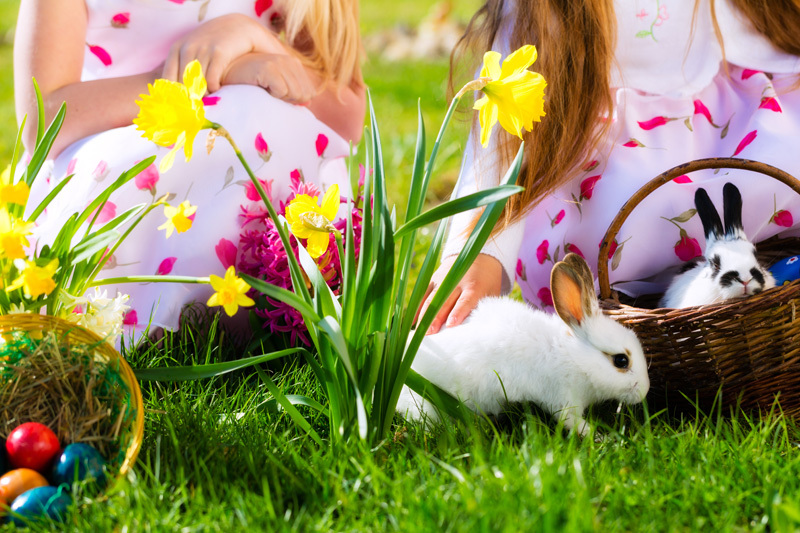 Owner surrender is a common reason, but Easter is not the most common time for rabbits to arrive at shelters, according to this research. Rabbits are popular pets because they are intelligent and fun, will cuddle with you, and can learn to use a litter tray. But while everyone knows there is a crisis of homeless dogs and cats, what about rabbits? A recent study by Amelia Cook and Emily McCobb (Tufts University) set out to see how many pet rabbits end up in animal shelters, and what happens once they are there. Four animal shelter sites in Rhode Island and Providence took part, some with more than one physical shelter location. Cook and McCobb looked at the records for a six year period from 2005 to 2010. They excluded any rabbits that were found to be wild or that were already dead on intake (unfortunately some were dead on arrival). A total of 5,408 live domestic rabbits were taken in at the shelters during this time. Rabbits had the third highest intake level of companion animals after cats and dogs, but the fourth highest level if you also include farm birds (such as chickens and geese). Owner surrender was the most common reason for a rabbit entering a shelter (77%), followed by strays (16%). The main reason people gave for surrendering their rabbit was that they were either unable to care for it or not interested in doing so (27%). The next most common reasons were housing issues (e.g. landlord not allowing a pet rabbit) at 22% and having too many rabbits (also 22%). The majority of the rabbits were adults (aged 1 – 6) and 81% had not been spayed or neutered at the time of intake. However, the fact that ‘too many rabbits’ was one of the most common reasons for owner surrender suggests that there are many accidental litters. This underlines the importance of spay/neuter for pet rabbits. The shelters that took part in this study have a policy to spay/neuter rabbits prior to adoption, but this is not the case at all shelters. Only 3% of the rabbits were admitted for a rabbit-related problem. 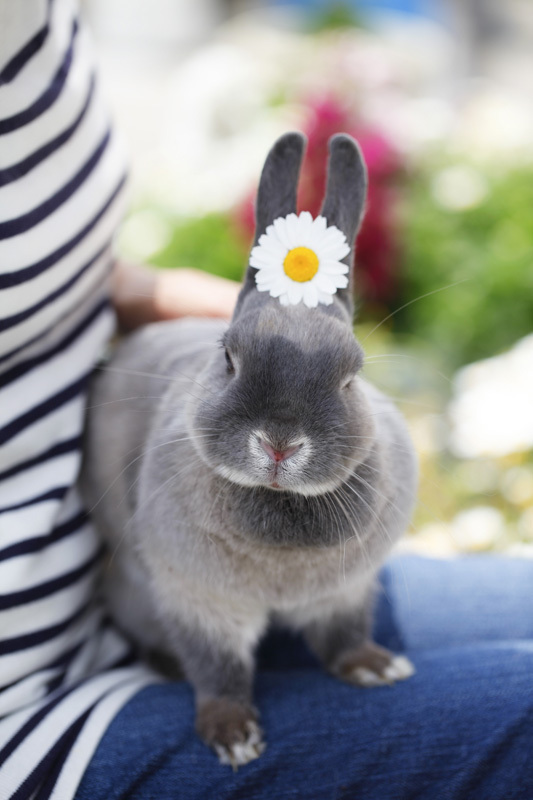 This ties in with another study that found that although 29% of rabbit owners reported a behavioural problem (such as inappropriate toileting or not being cuddly enough), most of them were not dissatisfied with their pet as a result. This study made an exciting finding about the use of foster programs for rabbits. Although three of the sites did not make much use of a foster program, the fourth site actively increased fostering during the six years of the study. The foster program for rabbits led to a significant decline in euthanasia rates. Seasonal patterns in rabbit intake are often reported. One of the sites in this study had a sudden high intake of rabbits due to a hoarding situation. Animal hoarders are people who take in more animals than they have space for and are able to care for. Often they feel a strong connection to the animals and a need to provide for them, and don’t realize or notice that the animals are in poor health, stressed, and needing veterinary care. They continue to acquire new animals despite the deteriorating condition of the ones they already have. The sudden influx due to the hoarding case had to be taken out of consideration when looking for seasonal patterns. Only the two largest of the four shelters had a significant spike in intake, in October and July respectively. This is surprising because it is widely reported that abandoned Easter bunnies cause an annual increase in the shelter rabbit population. It could be that patterns are different depending on the shelter, that the length of time before rabbits become unwanted is variable, or that when the intake is relatively low fluctuations due to other factors are more apparent. The shelters did not have records of whether rabbits had been Easter presents. The average number of rabbits taken in each month ranged from 8 at one shelter to 310 at another. Over the time period of the study, 23% of the rabbits were euthanized and 59% were adopted. The length of stay ranged from 1 to 634 days, with an average stay of 3 months or less. Cook and McCobb also noted that the shelters took in quite a few pet birds, suggesting this is an issue that warrants further research. This study emphasizes the importance of spaying and neutering pet rabbits, and shows that some owners are not prepared to look after their pet. The House Rabbit Society has some excellent resources on how to care for rabbits, including a leaflet on which vegetables and fruit to feed them. Do you have a rabbit? Where did you get it from, and what kind of rabbit is it? Thanks so much for posting about the research I did on shelter rabbits in New England. I never knew you had covered it until now, otherwise I would have thanked you much sooner! I hope to do further research on the topic, particularly in other parts of the country to get a better idea of the bigger picture of what is going on with the shelter rabbit population. Thank you so much for your comment! I think your research is very valuable, especially to shelters that take in rabbits (and other small animals). Until I started volunteering for my local shelter, I didn't realize how many pet rabbits are surrendered (I was also surprised by the ferrets and birds). Please keep me posted on your future research! July being one of the highest months for rabbit surrenders seems to correlate well with Easter bunny abandonment. I have volunteered with rabbits in a NM shelter & can say that Memorial Day weekend and December represent the highest surrender periods for animals, correlating in my opinion to when people go on vacation & don't want to bother finding pet sitters.